We are definitely liking Mr. Cody McCarver. I wasn’t exactly sure where to put Cody. Genre’-wise, I mean. He sure sounds country to me. But the lyrics and the message are clearly Christian music. It didn’t take long, however, to figure out that no matter where you put him in the music world, he is good! When I received the video to share with you, I didn’t know anything about Cody. I found out quickly that I liked what I was hearing. And, I went to his web page and read his bio. That told me that he started his career when he was 9 years old, in a small church in Spencer, Tenn., playing piano. Later, he would wind up with country music legend Lynn Anderson – Cody played bass guitar for her before signing his own recording contract with Giant Records. He has had three No. 1 videos on CMT Pure Country and earned the title of Independent Artist of the Year from Music Row Magazine. There is a lot more, and I hope you will all check out his bio on his website [click here] to learn more. What I just told you came from Cody’s website, what you will read below came along with the video. It’s great reading, preceding an even greater video – for a really great song! 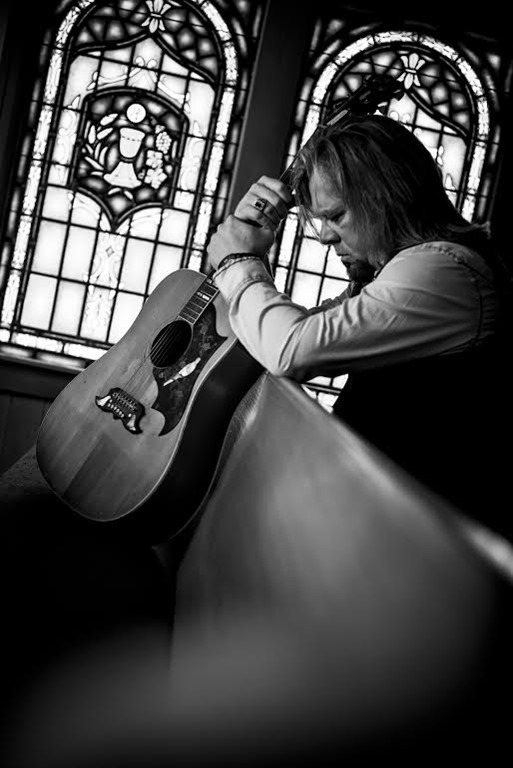 [Press Release] Cody McCarver is making waves with his own brand of music he likes to call “Outlaw Gospel.” Growing up in Spencer, TN his first musical influence was in his home church. It’s that musical connection to faith that has helped Cody through dark and troubled times, including the imprisonment of his father and his death inside a jail cell. Throughout his career, Cody has shared the stage with legends such as Charlie Daniels, David Allan Coe, Merle Haggard and more. His solo career saw his music topping the charts and even being featured in several motion pictures, which led to McCarver acting in several western films. His solo music has featured guest appearances by Colt Ford and The Oak Ridge Boys’ Richard Sterban. Cody is an ambassador for Big Brothers/Big Sisters of America, an organization that is extremely close to his heart. He has three music videos which were fan voted to #1 CMT Pure Country and even boasts being named Independent Artist of the Year by Music Row Magazine. His new video has just debuted and will be featured on his full length album scheduled for release in January of 2017. In addition to his website, visit Cody’s Facebook page, and remember to “Like” it while you are there. Follow him on Twitter @codymccarver. If you aren’t already following Country’s Chatter on Twitter, we hope you will. You will find us @countryschatter. New Music Video from Indigo Summer – "Something You Miss"